Harry N. Abrams, 9781419723148, 192pp. 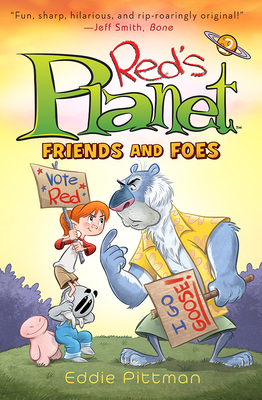 "Pittman's illustrations are enormously appealing, with an animated feel and imaginative worldbuilding...young readers will keep reading and may pick up a little civics along the way." "Pittman’s comical space adventure offers plenty of slapstick humor with a nice touch of heart . . . The cartoonish artwork retains the same animated style as the first volume, and the imaginative alien designs, particularly when they play baseball, are particularly delightful. The episodic pacing, breezy tone, and engaging visuals should give this broad appeal."